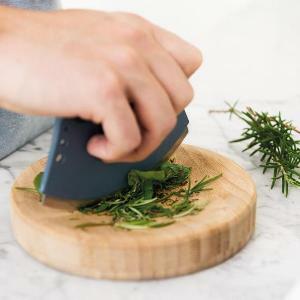 Prize: Preparing dishes with fresh herbs is simple with the BergHOFF Herb Cutter Set. This two-piece set includes a wooden block and sharp cutting tool. The blade even incorporates four graduated holes to destem your herbs. Statistics: This contest was opened by 127 and entered by 5 ContestChest.com members. 4% of those who opened the contest, entered it.